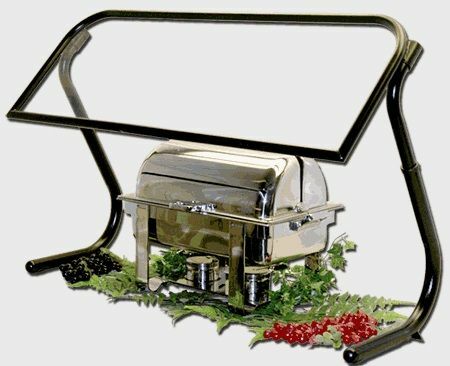 The Chafer Guard was born of the industry need to provide a safe and effective means of protecting food offerings when served from elevated containers; such as chafers, ice boats and/or risers. The Chafer Guard offers the versatility to rise from a 14″ wrist clearance to 18″ as a convenience to your patrons. Call for quote on substituting tempered glass for acrylic food shield.